The range of Phi Phi island tour is quite surprising. Phuket Phi Phi Tours, tours from Krabi and tours that start from Phi Phi itself all add to the number of travellers who wish to sightsee at Maya Bay, snorkel the extensive reefs of the islands or just hang out and take in the fabulous scenery. Most of the Phi Phi island tours go to visit Maya Bay on Phi Phi Ley. Maya Bay is famous for it’s cliff and wall beauty covered with a tropical jungle that literally clings to its surface. As you gaze out to the entrance of Maya bay you see a charming coral reef which is ideal for snorkeling. There are 3 beaches in Maya Bay proper but the largest is the most famous. A sweep of golden sand connects and captures the grace of the island and it was here the movie, 'The Beach' was shot. The A-lister, Leonardo Di Caprio, put Maya Bay firmly into the spot light. His controversial movie about backpacking was all about the holy grail of a hidden and perfect beach in Thailand. Since then, people from all over the world have taken the Phi Phi island tour and come to marvel, beachcomb, swim, snorkel or dive in this truly unique location. A Phi Phi island tour from Phi Phi gives great flexibility so that you can choose a morning, afternoon or evening time of departure. If you are a morning person the Shark Watch tour takes you snorkeling over at Long Beach where the Black Tip Reef Sharks glide through the shallow waters hunting for squid and mullet (but not humans!). The rest of the morning is taken up with a trip to Phi Phi Ley and Maya Bay. The one day Phi Phi island tour comes in 3 main guises, the Longtail boat tour, the large fishing boat tour, and the speedboat tour. Each tour takes you around the key reefs of Phi Phi Ley, Phi Phi Don and gets you up to Bamboo Island National Park. The longtail tour is the traditional tour with the long propeller prop shaft, the iconic water based engine of South East Asia. With small groups of 6 this is very intimate. The fishing boat tour is a larger converted sea going trawler boat. It takes larger group up to 40 at a time. This is a more comfortable trip with toilets on board. The Full Day Speedboat Tour of Phi Phi Island offers the thrill of speed and with that, more time on the beaches and snorkel stops. The sunset Phi Phi island tour is special as, apart from at the Viewpoint and Phi Phi Holiday Inn, there are very few Phi Phi sunsets on the islands as the mountains block the sunlight at dusk. The sunset tour gets you out on the sea to take in the glory of the moment. There are 3 main Phi Phi island tours from Phuket that can be found on the main Phuket tours page. The Phi Phi Island & Maya Bay by Sea Angel cruise ship tour takes you from your hotel in Phuket and transfers you to Phuket Rasada Pier where you step on board the large Cruise ship, the Sea Angel. This large sea going ship has all you could wish for, including a promenade deck that lets you take in all the scenes of the Phang Nga Bay and the islands of the Andaman Sea. Time is spent on Phi Phi so that you can enjoy sightseeing, snorkeling or just hanging out. 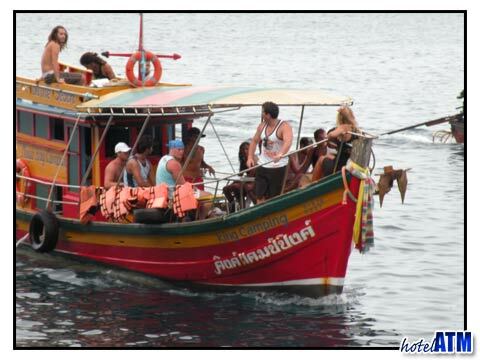 The one day snorkeling tour gets you out to Phi Phi on a large speedboat. 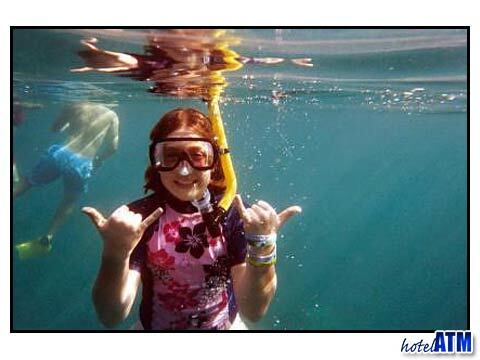 You get plenty of time at the snorkel spots as well as arriving at Maya Bay after the main groups have been and gone. The is is popular with the Patong Phi Phi people. Finally the Phi Phi island diving tour from Phuket takes you from the the diving pier at Chalong out to Shark Point, Hin Muang. This Phuket Phi Phi Diving tour gets you 3 dives at Phuket Shark Point, where there are many Leopard sharks, the King Cruiser Wreck with the large shoals of trevally and Koh Doc Mai with it famous coral walls. For connoisseurs of diving this tour is a real adventure and delight. The Phi Phi island tour from Krabi are similar to those from Phuket. There is a cruise tour from Ao Nang Beach and there is a speedboat tour. The big difference is that being on the east of Phi Phi you take in totally different scenery. The mangrove forests of Krabi Province greet you as you leave the safe harbours, the snorkel reefs off Chicken Island and Bamboo island National Park are passed in a tantalising glimpse of what is to come.